Eternal Summers seems to be in a good place in two respects. First, they have arrived in a musical traffic circle converging dream, noise, fuzz, '90s alt rock and shoegaze. Second, they are quite good at it, and I think Gold and Stone, their fourth album, is their best effort yet. Perhaps the most delightful attribute of this band is that despite their core penchant for dreamy soundscapes, they often gleefully perform it all on steroids, or at least on a plenitude of caffeine. Vocals soar in anthemic fashion, guitars paint broad strokes and punctuate with feedback. They can play the Galaxie 500 card with panache, as evidenced by the lovely "Ebb Tide", but their core tendency clearly is the rocking end of guitar pop. And why not? Nicole's voice and guitar, Jonathan's bass, and Daniel's drums all do is so well. Eternal Summers is Nicole Yun (guitar, vocals), Jonathan Woods (bass), and Daniel Cundiff (drums). Gold and Stone is out now via Kanine Records. Mr. Music is an appropriate label for Peter Astor. Founder of beloved and influential guitar pop bands The Loft and The Weather Prophets, long-time solo artist, lecturer in the Music Department of the University of Westminster, and author of a book on Richard Hell and the Voidoids' album Blank Generation, he is deservedly respected. But Mr. Music also is the name of Astor's latest record, and in typically delightful Astorian fashion it both justifies his reputation and proves that he continues to be a vital contributor to pop music. The title track, which is one of my favorite songs of recent years, combines the composer's gift for simple and enduring melodies, his warm and distinctive talk-sing vocal style and the backing vocal and instrumental assistance of James Hoare (Veronica Falls/Ultimate Painting/The Proper Ornaments). Quite simply, it is pop perfection. To my ears there is a connection with one of my favorite songs from The Weather Prophets catalog, "Joe Schmo and the Eskimo", which I played a few times after five or six repeats of "Mr. Music". 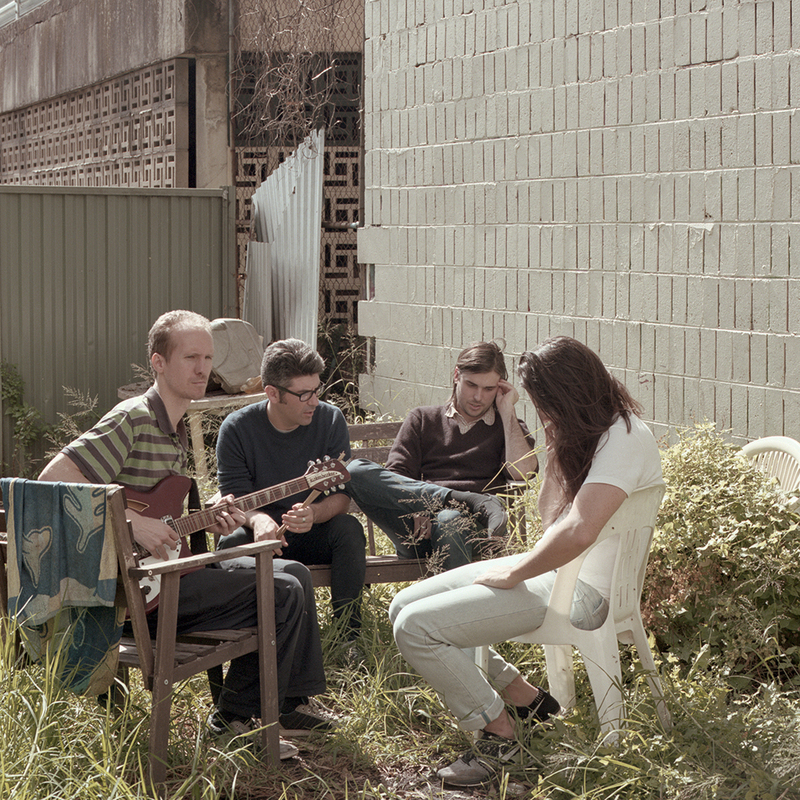 The B-side is the dreamy "Armitage Shanks", which features soft vocals over shimmering guitar. Mr. Music is out via Fortuna POP! on 7" vinyl, and as a digital download from the usual suspects, Amazon and iTunes. Let's all give a warm welcome the Mr. Music. If Emma Kupa is stalking us, we aren't complaining. Her musical work first appeared here a few years ago with her former band, Standard Fare. Then last year we covered Home Cinema, her EP for WIAIWYA. Now, she is back with Mark Boxall and Tom Barden as Mammoth Penguins. On their debut Hide and Seek the Cambridge, UK-based trio offer 12 exuberant songs with bright guitar tones, scrappy ambition and confidence. The vocals are heartfelt, the lyrics wry but sincere. Focusing on life as late twenty-somethings, there is understandable introspection, and maybe a few self-criticisms. But this trio loves a fast pace and embraces the noisier aspects of their art, so as a whole the package is fun and satisfying regardless of whether you find yourself in the same place in your life. For my part, I find that after each listen I find myself feeling better than when I started. Since I'm not a dumb guy, my conclusion is that I need to keep listening to Hide and Seek. Hide and Seek is out now via Fortuna POP! 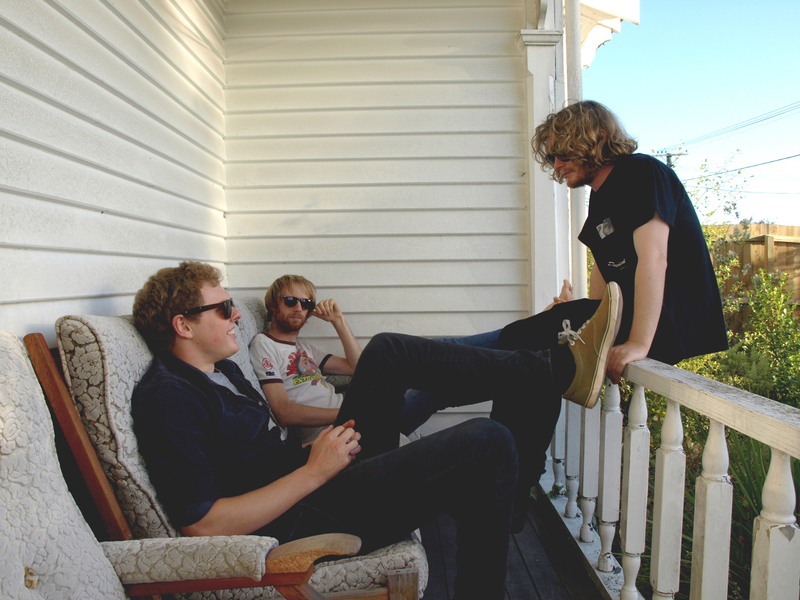 A couple of years ago I raved about Christchurch, New Zealand's The Salad Boys. As each member of the trio had other band affiliations, I didn't know whether we'd be hearing more from them. The answer came recently -- we'll be hearing quite a bit and very soon. Their debut album Metalmania will be released by Chicago's Trouble In Mind Records September 18, and the band will embark on an 18-date North American tour. And don't be fooled by the album's title. While The Salad Boys can make a lot of rocking noise, they are not a metal band. 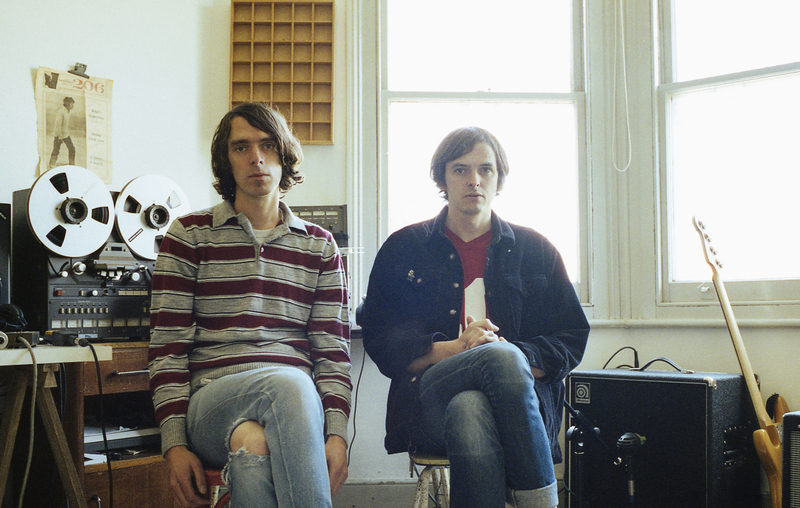 Expect psychedelic swirls, jangling pop tunes and urgent rockers. Your introduction is "Dream Date". The Salad Boys are Joe Sampson (guitar and vocals), Ben Odering (bass) and Jim Nothing (drums). Happy days! 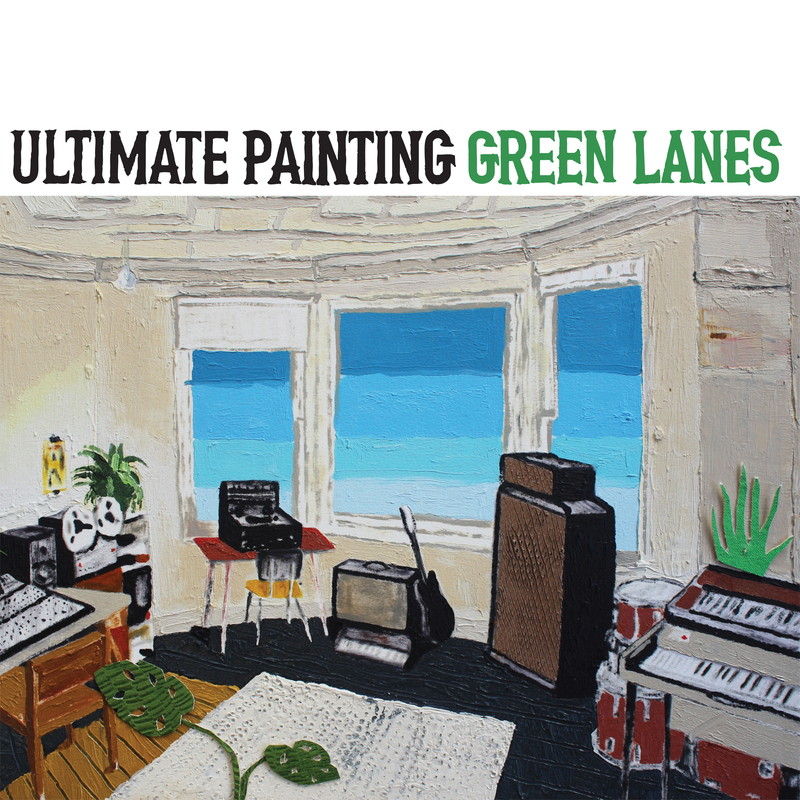 Ultimate Painting, the project of Jack Cooper of Mazes and James Hoare of Veronica Falls will release their second LP, Green Lanes, on Trouble In Mind Records on August 7. Our first notes arrive via "(I've Got The) Sanctioned Blues". For this song the duo's sunny psychedelic tones are employed to address the serious subject of the humiliations the bureaucracy imposes on the economically disadvantaged. Because it is always midnight somewhere …. Here is our (sometimes) weekly roundup of some music from around the globe. First is UK trip hop band Colour The Atlas with "I'll Be Your Lover". Here is Londoner Sami Switch with his summer anthem "Favourite Song". It is from his Solace EP, which can be downloaded for 'name your price' here. The Real Alli, a nineteen year-old soul, R&B and hip hop artist from Maryland. Free download link viable for a few days. Next is Conner Stark, an electro-pop artist with a striking voice, dramatic flair and some troublesome relationship issues. San Diego's Hollywood Principle follows with their new song "Seeing What's Next".